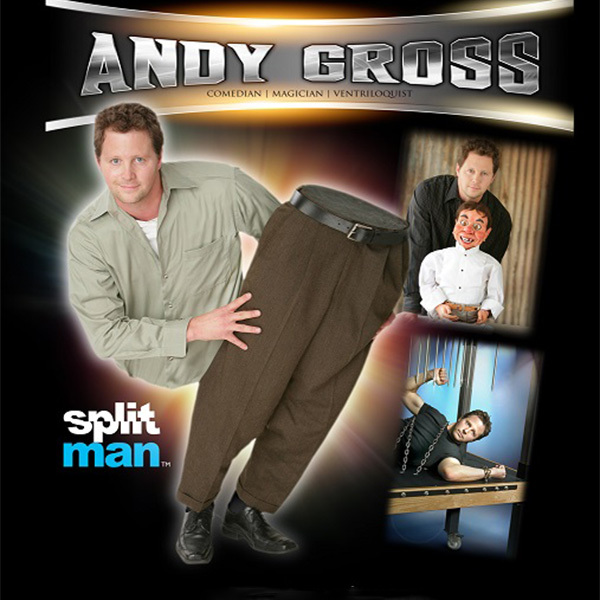 ANDY GROSS – COMEDIAN, MAGICIAN & VENTRILOQUIST | Love Productions Inc.
One of the hottest stand up comic, magician and ventriloquist working today as evidenced by his sold out shows and devoted following! His videos have over 100 Million views and counting on the internet! He performs over 150 shows a year at comedy clubs, Las Vegas, cruise ships, fortune 500 corporate events, colleges and performing arts theaters everywhere. He is considered one of the best by his peers in the entertainment industry and he will leave you spellbound. You may recognize him from his numerous TV appearances, including most recently The Ellen show and an NBC television special featuring his talents.